As expected, the Paris Auto Show coming this year will be the witness to the launch of some exclusive pieces of luxury. Among the many presented there, the Porsche Carrera 4S coupe is expected to steel the show! 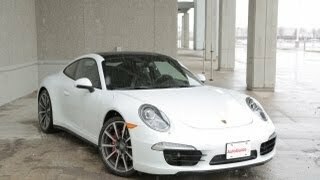 The Porsche 911 Carrera 4S coupe 2013 is the latest car in the 911 segment and is expected to have some enhanced technological abilities competing with its predecessor ‘977 type’. The official announcement made by Porsche revealed that the 911 coupe would feature the All Wheel Drive Technology with tires featuring increased dimensions for better road holding capacity in adverse weather. Beautiful yet manly, Carrera 911 is built of aluminum-steel body that has cut down its weight by 65 kg than the previous models. The designs of this series will closely resemble the earlier 977 engine models released; that means the exteriors are desperately lovely with no significant addition. The only noticeable addition is the All Wheel drive technology that has improved traction with lesser weight increasing the mileage. Rear wheels have been thickened by 22mm while slight change has been made in the front wheels. Following the other models, Porsche Carrera 4S coupe has seven gears with seven-speed Porsche Doppelkupplung (PDK) technology coming as an option for the buyer. The engine is 3.8 liters and develops a capacity of 400 BHP making the car achieve 60mph in just 4.1 seconds. For the speed lovers, she can achieve a fantastic 186 mph when raced at the best. Although, mileage will never be a concern for such piece of luxury but still it has been improved to 8.6ltrs for 100KM with significant carbon reductions. It is not just the speed but safety and security has been the prime motive of the engineers. 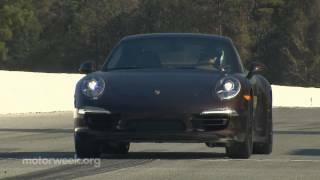 Carrera 4S is built with Adaptive Cruise Control and Porsche Active Safe Technology. Auto lovers will be able to keenly look at the Porsche Traction Management Technology (PTM) in these cars. The ground breaking PTM technology used in the 4 and 4S model will help the driver know how much power is transmitted to rear and front wheels at any point of time. For car’s personal security, Porsche vehicle tracking system (VTS) will always be on the move. Following the legacy, the 911 Carrera has an all leather interior with 4.5 inch touch screen display and voice navigation system that is controlled by Porsche communication management. In addition to this, the buyers will have the ‘conventional’ Climate Control feature along with Universal audio interface with mp3 connectivity. An additional glass slide roof has been featured in the 4S coupe model. The Porsche Carrera coupe 4 911 model is priced at £77,924, while the Carrera 4S model will be available from £87,959. Porsche, the 911-coupe Carmaker has announced its sale at first in Germany and moving to United States. Interested buyers can have a glance at the Paris Auto Show scheduled September this year. 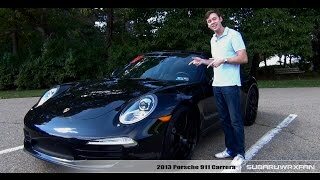 Porsche Carrera 911 4S coupe comes with 3 years manufacturers’ warranty. It seems that there have not been many design related changes but with 911 Carrera, you will ride the best auto technology of the time. With the quoted price, there are definitely many options for the buyer including Audi R8 SPYDER and BMW series 6-convertible, but Porsche has and will be delivering something unique.